Fishing in Thailand is becoming increasingly popular every year. Thailand’s waters are home to many IGFA world records. The lakes and waters hold many different species, some that are native to Thailand and others that have been introduced. One thing is for certain though, these fish reach astronomical sizes. Any angler travelling to Thailand can be rest assured that they will have the chance to lock themselves into battle with some dinosaur like fish. Thailand is home to vast amounts of man-made lakes and these lakes are home to the fish that anglers will be flying out to catch. When a freshwater angler thinks of Thailand they will no doubt have images in their minds of fishing in Jurassic looking landscapes, surrounded by deep green flora and fauna with towering mountains in view shrouding these lakes in mystery. 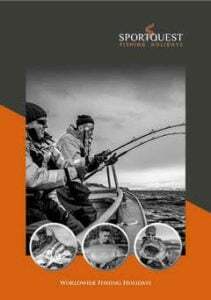 We see many British anglers journeying to this stunning land, all ready to catch some truly astounding species, and these species are massive in size. One such popular fish is the Siamese Carp. This fish is one that many Carp anglers specifically want to target due to the fact it reaches sizes in excess of 150lb. It is not only Siamese Carp that appeal to anglers, the chance of hooking a prehistoric Arapaima is a big possibility. These incredible fish reach sizes over the 500lb mark from a freshwater lake. Just imagine the battle you will be locked into if you hook one of these. Other species can also be found in these waters, including the Red Tailed Catfish, Arrowana, Giant Gourami, Mahseer and even the hard fighting silver king that is the Tarpon. If you have any questions about our Thailand fishing holidays, contact our expert team or request a free brochure.